Ya estamos en septiembre y soy de las personas que se niegan a pensar que el verano se ha acabado. Todavía quedan días para disfrutar de la playa y de maravillosos atardeceres en ella. Asimismo, aun quedan días para seguir poniéndonos nuestros vestidos de verano. En el look que os enseño hoy, llevo un vestido blanco estilo boho que sin lugar a dudas es uno de mis favoritos. 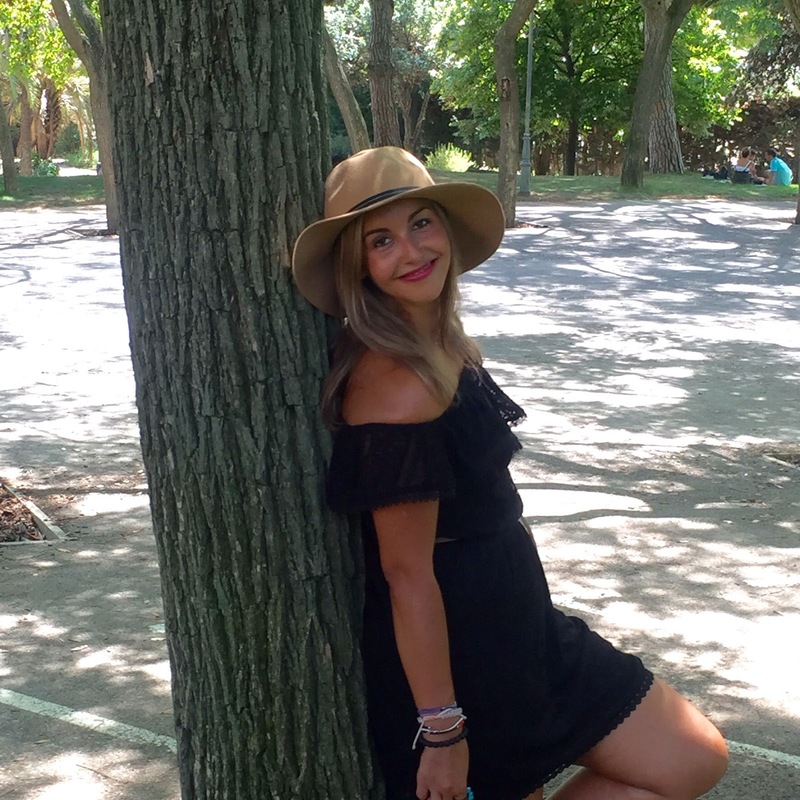 Lo combiné con mis sandalias de color camel que os he enseñado mil veces en el blog, pero es que son tan cómodas y combinan genial con todo, que se han convertido en mis zapatos favoritos de este verano. Y me puse mi bolso con pompones que creo que le iba como anillo al dedo a este look. Gracias por vuestras visitas y comentarios. Nos vemos el martes con un nuevo post. Que vaya bien la semana! We're at September and I'm the kind of people that refuse to think that the summer has ended. I think that still remain days to enjoy at the beach and to see the sunset in there. In addition, still remain days to wear our favorites dresses of summer. 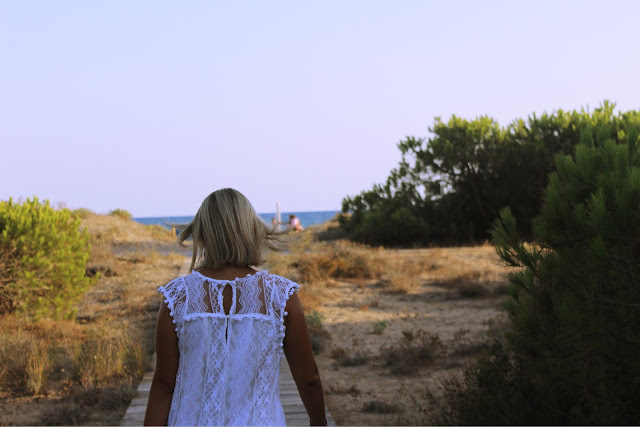 In the outfit of the day, I wear a white boho dress that it's one of my favorite. I wear it with my camel sandals that I showed you a lot of times in the blog, but they are so comfy and fit well with everything, then they have converted in my favorite shoes during this summer. 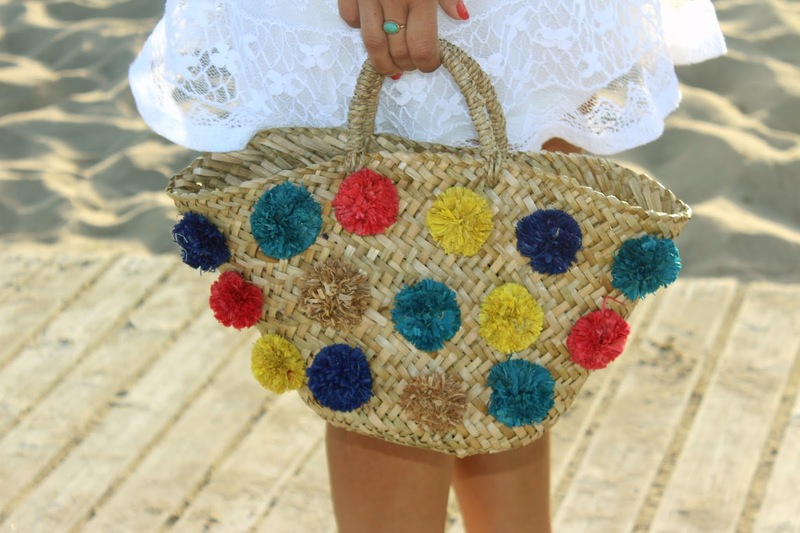 Finally, I put my bag with pompons that I think it fits perfect with the outfit. Thanks for your visits and comments. I see you next Tuesday with a new post. Have a nice beginning of week.